The Nokia 9 may be set for a 2018 launch after all as HMD Global has sent out media invites for an event it will be hosting in Dubai on December 5th. The event invite, in fact, suggests as many as three smartphones will be showcased at the event. With this teaser, it can be expected that the brand could unveil the recently leaked Nokia 2.1 Plus and Nokia 8.1 at the event, alongside the Nokia 9. HMD Global Chief Product Officer Juho Sarvikas shared the event invite in a tweet, with the caption #ExpectMore. The invite poster shows three smartphones, with the varying width of the displays apparent from the first look. The handset in the middle has the widest display among the three, though this could simply be due to the angle at which it is held. It should also be noted that the smartphone on the right has chamfered edges while the other two do not. Other than that, the poster only shows that the event will be held on December 5th in Dubai. It is likely that Nokia 9 with five cameras on the back will be unveiled at the event. A report last week claimed that the Nokia 9 launch could be just weeks away and the announcement may make the prediction come true. It was claimed that HMD Global has resolved the production issues it was facing in manufacturing the Nokia 9 penta lens camera module. However, the report did say that mass production and producing it in India still remain a challenge for the brand. 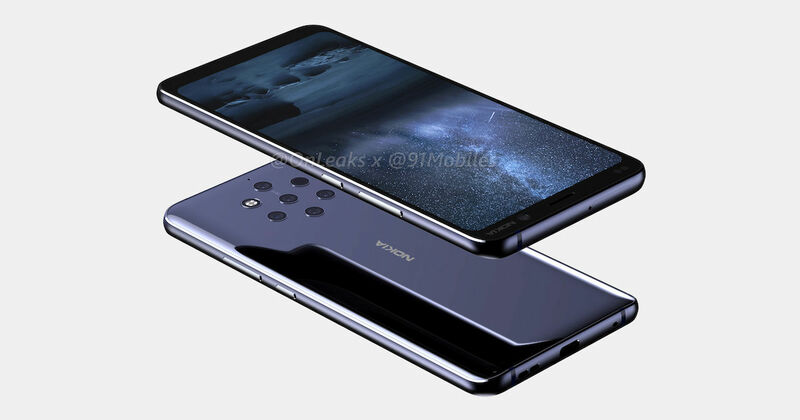 We had brought you exclusive renders of what the Nokia 9 could look like, complete with the five-lens camera. You can check it out in the video below. Nokia 2.1 Plus budget handset was spotted just a few days ago, with 1GB RAM, 16GB internal storage, and 2.4GHz Wi-Fi support. With the recent FCC certification, it gives rise to speculation that the launch could be on December 5th. For the third device, there is not much information though there is a chance that it could be the Nokia 8.1, the global variant of Nokia X7. We had recently reported that this smartphone could be coming to the Indian market on November 28th, so it remains to be seen whether HMD Global’s plans have changed and whether the India launch will be delayed due to that. The Nokia 8.1 price in India will be Rs 23,999.